FRANKIE HEARTS FASHION: Happy Labor Day Lovelies! To make the Chocolate Cookies, in a large bowl use an electric mixer to cream together the butter and sugar until light in color and fluffy. In another medium bowl stir together the flour, cornmeal or polenta, cocoa powder, baking powder, salt, and orange zest. Add the dry ingredients to the butter mixture and stir to combine using a wooden spoon. Place the dough on a sheet of plastic wrap. Press the dough into a 1-inch high round. Wrap in plastic wrap and refrigerate for at least 30 minutes and up to 1 day. Roll out the dough to between 1/8 and 1/4-inch thick. Use a 1 3/4-inch round cookie cutter to cut out the dough. Bake on a heavy baking sheet for 15 minutes. Place the baking sheets on a wire rack to cool cookies. Meanwhile, to make the Orange Filling, combine the butter, powdered sugar, orange zest, and salt in a medium bowl. Use an electric mixer to cream the ingredients together. 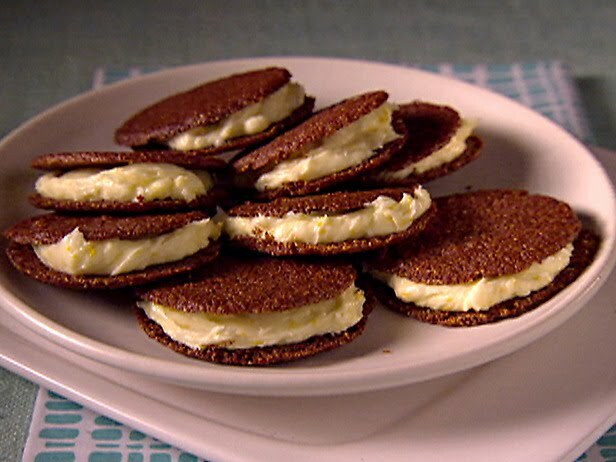 To assemble the cookie sandwiches, place about 1 teaspoon of the Orange Filling on a cookie. Top with another cookie and press the cookies together. Store in an airtight container for up to 1 day. Thanks for the recipe and happy Labor Day!